An object with no boundaries. An object with no inside or outside. The Klein bottle is a non-orientable surface; informally, it is a surface in which notions of left and right cannot be consistently defined. Simplifying things: A Möbius strip is a simpler example of a non-orientable object. That means it has no inside or outside. 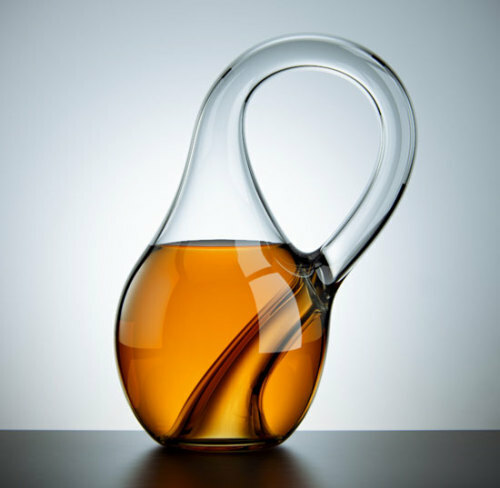 Add another aspect – having no boundaries – to it, it gets more complex and you end up with a Klein bottle. If you haven’t heard of Möbius strips, to understand such surfaces, you can make one for yourself now. Tear off a strip of paper. Hold it horizontally, straight with both of the short edges in your hands. Test the surface and edges: On this object you just created, move your finger along the surface. You’ll find that your finger comes back to the same place eventually. There is no inside or outside for this object, there is just one surface. Now spin it (the Möbius Strip) fast. You can NOT practically do it. I mean, spinning it like you spin a circle and get a sphere. There! You have a Klein bottle. It is better than a Möbius strip in a way that it (Klein Bottle) has no boundaries. Klein bottles cannot actually exist in our three-dimensional worlds, the ones that look like them (Klein Bottles) are just 3D representations of a 4D object. Like a two-dimensional drawing of a 3D cube. These models are available for you to buy. Interestingly, in spite of having no inside or outside, they can be filled with a liquid. But, given the opposing force of air, they are pretty tough to fill. It is important to note that the 3D representation of a 4D Klein bottle has an intersection of material, this doesn’t happen in 4D. It is like the intersecting edges of a 3D cube in the 2D representation. You’re thinking 3D? At MIT (and other places) 4D printing is already happening. If you are having a tough time imagining this 4D object, the following 4D animation might help (or leave you perplexed) – [video] [Extra reading for math geeks] as if they already didn’t know about Klein bottles.